We have over 80 eCommerce site designs to choose from. All ecommerce website templates are 100% mobile-friendly, fully customizable, affordable, and 100% open source. Use the dropdowns below to find the perfect theme for your online store. A website template has never been this crisp and neat, until All for Home came to the picture. It’s simple and minimalistic palette blends well with all sorts of products, most especially fashion, houseware, and electronics. Though this classic e-commerce website template should perfectly fit your business, you can replace it with another beautiful theme anytime you wish. And you won’t have to uninstall your shopping cart software to install a new e-commerce theme, which is impossible with OpenCart website templates. Featured products, bestsellers, and new arrivals can be neatly placed inside a beautiful responsive carousel slider. Items on sale and “Coming Soon” products are added on the left side of an each product’s details page. New editable “News” section on your homepage to keep you customers informed about your company updates. Do you own an online fashion store? This template with soft beige accents will surely tickle your fancy. Crafted with retina-ready responsive web design, it boasts user-friendly features including straightforward layout, extensive white spacing, easy-to-navigate, full width slider, a parallax banner, and bottom text blocks where links go as necessary. Clean, uncomplicated, and manageable, the Sports Clothes Equipment theme suits fitness stores very well. Aside from user-friendly navigation, it’s packed with convenient attributes, such as a full-width slider, two parallax banners, product zoom effects, image popups, and full-responsive skin that works with the most popular internet browsers and, of course, with X-Cart eCommerce platform. Designed exclusively for restaurants, cafes, food, and wine shops, the Coffee Shop theme is a cozy theme that showcases products quite well. Above each page is a straightforward navigation menu, displaying all your product categories and subcategories. Below the navigation is a big banner, where your high-definition product banners should go. Hovering in each item enables you to use the “quicklook” features, which when clicked, displays quick overview of each product. You can also filter, drag, and drop each item to the shopping cart. Are your products mostly for beauty, garden, medical, supplements, or interior decorations? Then, the Candles theme is your best friend. The great thing about this eCommerce store template is that it showcases your products beautifully, arranging all images in such a stunning manner. From the banner, featured images, to the product images itself, you’re going to love how it assembles your items beautifully. Candles features a huge parallax banner, featured products, a quicklook button, mid-page promotional banner, social media integration, and bottom text block links. Sometimes, you feel that a dark layout is more fit. Search no more, because digital theme is here to let you add oomph and depth to your eCommerce store’s web design. Digital Theme’s simple responsive layout lets you add logo, product images and banners in a jiffy. It also allows you to rearrange page elements using its quick drag and drop feature. You can even columnize your webpage and choose from 1 to 3 columns as necessary. Also, this free eCommerce website template is SEO-friendly and works perfect with all popular browsers. Resembling the feel of a real grocery store, this template is paved with grey and basil green hues that are rather refreshing to the eyes. The white background makes your images stand out, thus evoking a modern, minimalist, and clean appearance. Grocery Store template is also packed with useful features to both desktop and mobile users. User-friendly mega menu, full-width slider, big banners, small banners, footer block, dropdown categories, and mini cart are just some of the distinguishing features that the theme has in store. It’s super responsive, SEO friendly, and works wonderfully with leading web browsers. One of the most popular templates on our theme store is the Standard Theme. It’s perfect for selling all types of products there is. Moreover, this design theme, compared to WordPress themes, is super easy to customize to fit your brand. Upload the logo, get your banners up, add company information, and you’re done. 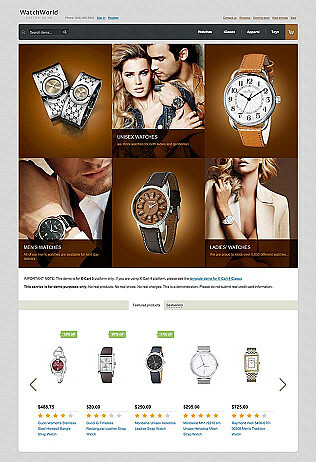 You can alter this free e-commerce theme layout into 1, 2, or 3 columns when you’re on Standard Theme. You could also drag and drop to rearrange blocks according to your preference. Furthermore, it’s SEO-friendly and adapts to all types of internet browsers well. This ultra white template is well-suited to online stores that sell electronics, computers, tools, and other business products. Contemporary and stylish, it provides a friendly environment for your customers to browse around on. At the homepage, you’ll find a carousel of your web store’s best selling products. At the top of the pages is a Categories menu, which works seamlessly with X-Cart Flyout categories. This fully-responsive theme displays beautifully in all types of screens. It also conforms with SEO and most internet browsers, an, if needed, can be customized for WordPress and Magento. Looking for a template with responsive design and compatible with goods like tools, equipment, and other industrial items? Then, the Tools Store template is for you. The white background allows for clean and modern appeal. You can rearrange the elements of the page, which consist mostly of dropdown categories, featured products carousel, and tabs for bestsellers, new arrivals, and coming soon items. 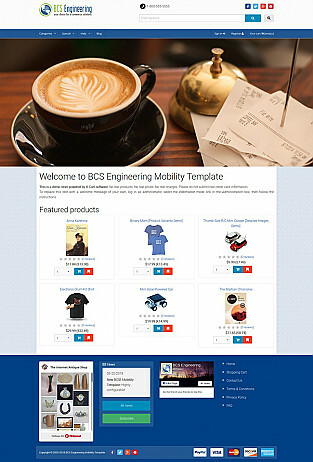 This template is compatible for online shops using X-Cart Business 5.2.12 and above. Your eCommerce store deserves a gorgeous template that will turn it into an impressive money-making machine. If you’re not sure which e-commerce website template to start with, we’ve covered a myriad of professional, striking, and up-to-date themes that work seamlessly with our X-Cart e-commerce software. Our skilled developers have combined the best of aesthetics and functionality in each of our themes. You will like the look and impression each template brings to your brand through its flashy and interchangeable color schemes. We’ve also taken the extra mile and incorporated only high-definition images that are good for lifetime use. Such features are integrated with needs of clients and customers in mind. Since your website is equipped with a responsive web design, you can expect more traffic and conversions to come your way. Unleash the power of your brand through our variety of sleek eCommerce layouts. Give your customers a pleasurable online shopping experience that will keep them coming back for more. Having a staggering number of website themes makes choosing a backbreaker. These tips should help in finding the perfect pre-made template for your brand. It’s advisable to also pay attention at the checkout, product page, and category page and how imagine how your online store will look in each web template. After all, the product and category pages will likely receive the most traffic so don’t forget to look at all pages as much as possible. Is there any web design that you really liked in the past? Perhaps, there is a website design, created by WooCommerce, for example, that looks very similar to one of the e-commerce website themes we’ve added above. Remember, you’re going to use the template for a few months or longer; so choose wisely. Pick a design that suits your taste, while keeping customer usability in mind. Today’s world relies on mobile devices heavily. This is exactly why catering to mobile users is of utmost importance. By choosing a responsive design, you can cater freely to buyers browsing through all sorts of devices. Lightweight themes are results of utilizing best practices in coding. This makes the layout fast-loading and easier to navigate. With the popularity of social media nowadays, it’s crucial to keep a social integration feature in handy. Your choice of e-commerce templates should make social sharing trouble-free, whether it is through Facebook, Twitter, Google Plus, or different platforms. Sure, you want your online store to go live as quickly as possible. But at the end of the day, taking your time looking at the options will get you better results. Begin by picking your top 10 website templates. As you separate them from the rest of the options, re-analyze them once again. A good idea is to write everything down on paper, including the features you like and dislike about each template. This way, you’re going to end up with one or two choices that possess the qualities you like most. What if you want to create a custom website template from scratch? You've got a professional web designer who developed a unique eCommerce template for your web store — fully responsive, with clean design, and memorable mega menu for better eCommerce website navigation. 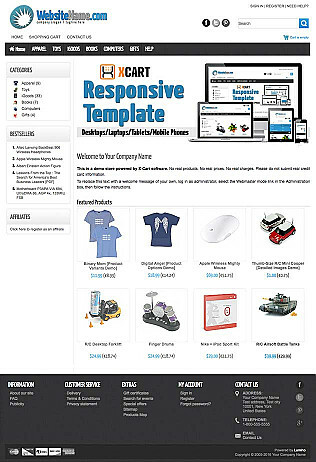 Good news is that you can effortlessly convert it to an X-Cart shopping cart design template. The whole procedure is quite painless. Sure thing, besides HTML and CSS, your developer needs to know the basics of PHP to build a robust web template for X-Cart. What is more, we use LESS stylesheet language and Twig PHP-based template engine and require you to use them, too. Both make the process of building eCommerce templates for X-Cart more flexible, fast, and secure. Need more details? This definitive guide will shed more light on how to build the best eCommerce template for your business.